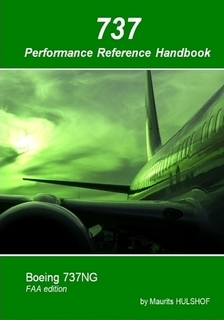 Reference handbook containing regulatory aircraft performance information (FAA) and explains its application for the Boeing 737NG. It is an excellent guide for pilots, and others who are interested, to know what aircraft performance is all about. This colourful book comes in a handy A-5 size and contains a lot of clarifying pictures. A must for every B737 pilot. An EASA edition and/or B&W edition is also available.